Jamaican hit maker Taurus Riley Is in town ahead of the bell jamz 10 year swangz avenue celebrations. Speaking at the press conference held at Mestil Hotel, Nsambya , Tarrus responded to a query from one journalist who inquired whether he knew any Ugandan artiste. “I don’t know any Ugandan artiste”, he stated. However, he was quick to add that he is in the country and ready to learn. 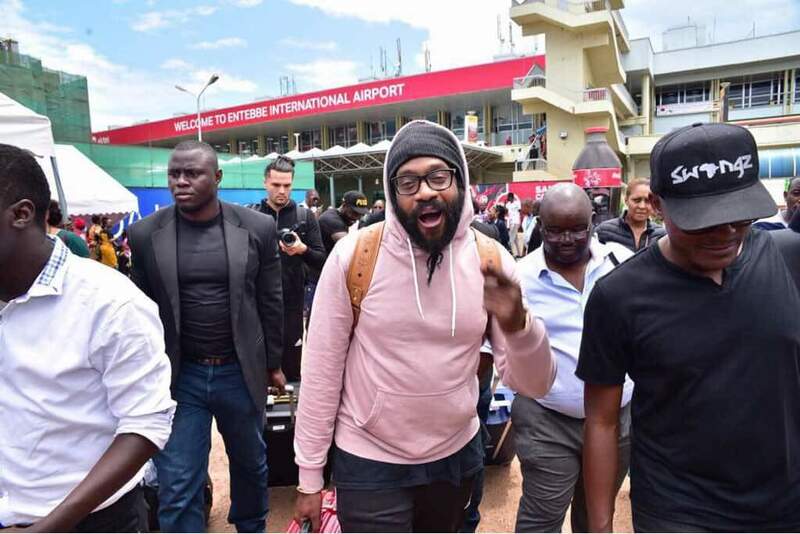 “It is in good faith…I’m here and ready to learn about Ugandan music and artistes”. “Anything can happen. When you plan too much, you become rigid. Certain things are spontaneous”, he stated. Tarrus stated that he always looked forward to performing in Uganda and promised to give Ugandans a memorable performance. “In whatever I do, I want to achieve my best. When I dress, I want to look my best, when I perform, I am looking giving the best experience. When writing, I use the best expressions and words”, he stated. He also revealed that he is looking forward to visiting the Source of the Nile, Jinja. We look forward to the awesome concert.